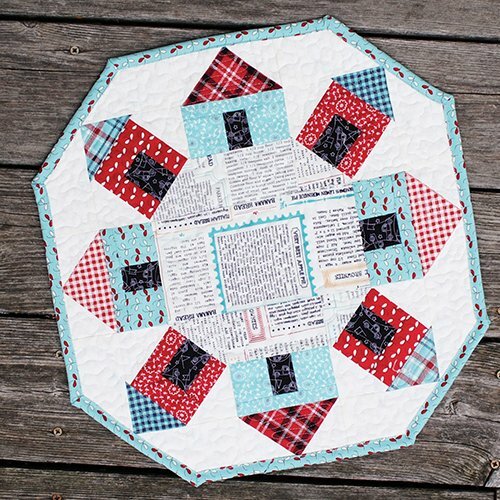 Adorable pieced table topper by Sherrie K. Falls. Finished Size 16" x 16". Kit also available.